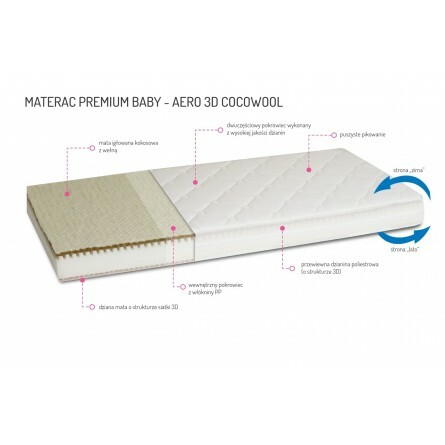 A two-sided linen-foam-hemp mattress is a perfect combination of modernity and nature. The firmer linen mat on the side up to 1 year and a more fluffy hemp mat on the side above 1 year of age. Natural properties of the fibres help suppress the development of bacteria and fungi and create a healthy climate for the baby.